It took me a while to get to this Red Rising sequel, but boy, am I glad I did. I don’t know how Pierce Brown makes this crazy sci-fi world so addicting, but I dig it. One major reason I love this series so much is how I never know what’s going to happen next. The storyline constantly surprised me, and that ending was so brutal. If I would have had book #3, Morning Star, with me, I would have immediately started reading it just because I need to know what happens next. 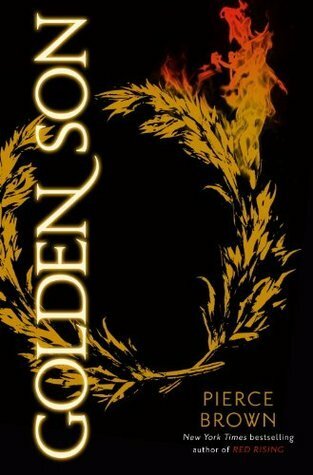 Golden Son leaves off on a crazy, terrible, brutal cliffhanger. Of course, the characters are mostly the same from book one, but I did love Darrow’s development in this book. At first, I was getting sick of his underlying holier-than-thou, I’m-the-man attitude, but by the end of the book, he’d redeemed himself so very much. I felt like his development was a natural progression within the storyline. 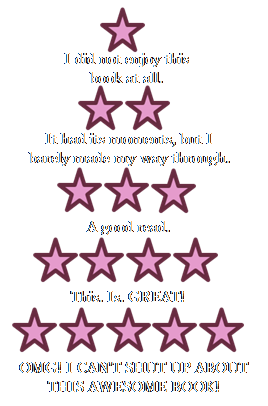 As for why I’m only giving the book 4.5 stars instead of the full five, well… there’s really two reasons. One reason has to do with the lack of competent, powerful women in this series. I feel like sometimes the few women who are in the book rely too much on Darrow and other men to make things better, or they’re made out to be martyrs. The women on the opposing/evil side are, of course, made out to be wicked stepmother-ish. It wasn’t a huge problem for me while I was reading, but I did catch it happening. Another small complaint I have is the jargon. Sometimes, it was hard to follow because of the crazy language. I know that that’s what a good sci-fi novel is based on, its ability to create new and unique worlds, but it got a little crazy at times, especially during battle scenes. But, man, were those battle scenes crazy. Again, every scene completely surprised me. All in all, this series is one I’m happy to continue with. I have Morning Star on hold at my local library, and I’m going to be impatiently waiting for Iron Gold to release next year. I am so glad you enjoyed this one! I just loved it. The series is really solid. 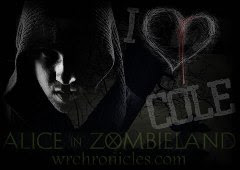 I can't wait for the new book to be published.